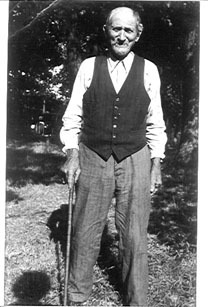 This is a picture of Joseph King Thatcher, son of William Joseph Thatcher and brother of Mary Elizabeth Thatcher. 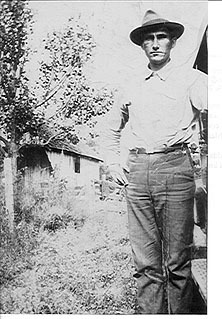 This is a picture of John Bert Thatcher. John is "supposedly half Indian, as his father Joseph King Thatcher married a supposedly full blooded Indian named Barbara Ellen Gritton." This is a direct quote from Paul. 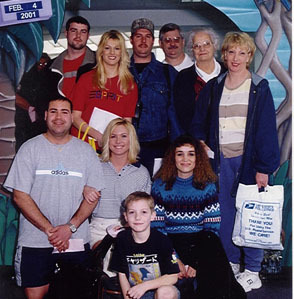 This is a picture of Paul Thomas (grandson of John Bert Thatcher) and his relatives: front-grandson, Derrik Bush; kneeling-son-in-law, Floyd Jessup and wife Rebekah (Thomas) Jessup; daughter-in-law Delora (Shuman) Thomas; standing-son-in-law, Jerrod Bush; daughter, Rachel (Thomas) Bush; son Matthew Thomas; Paul Thomas; mother-in-law Glenda (Kirby) Eaton; wife Cheryl (Eaton) Thomas.